Now for something completely different: Video of Wolfy barking at his reflection. But trust me: He has a really good reason. 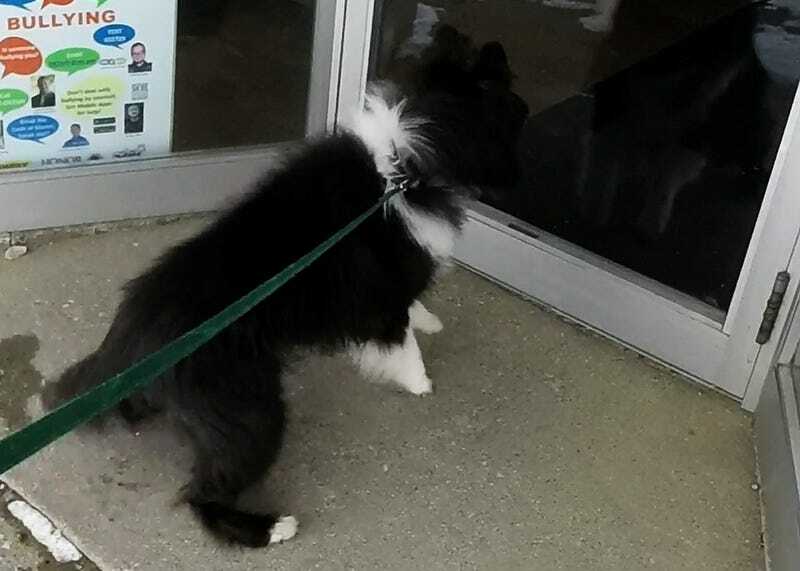 I walk Wolfy at least once day through town and we pass a few places with reflective doors and windows. Wolfy has noticed that these all seem to be occupied by really good looking but rather snobbish dogs. They notice him and when he barks, they bark at the same time. Today I filmed it. We’ll go back tomorrow and I bet those other dogs will still behave the same way.